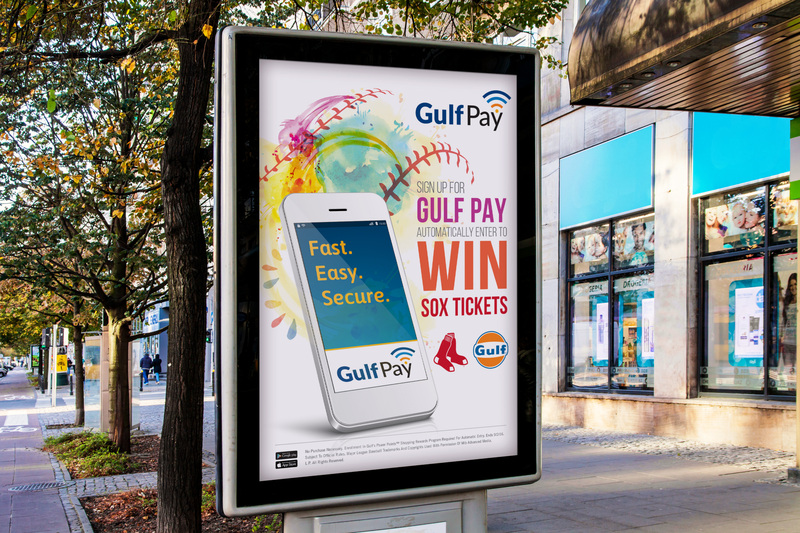 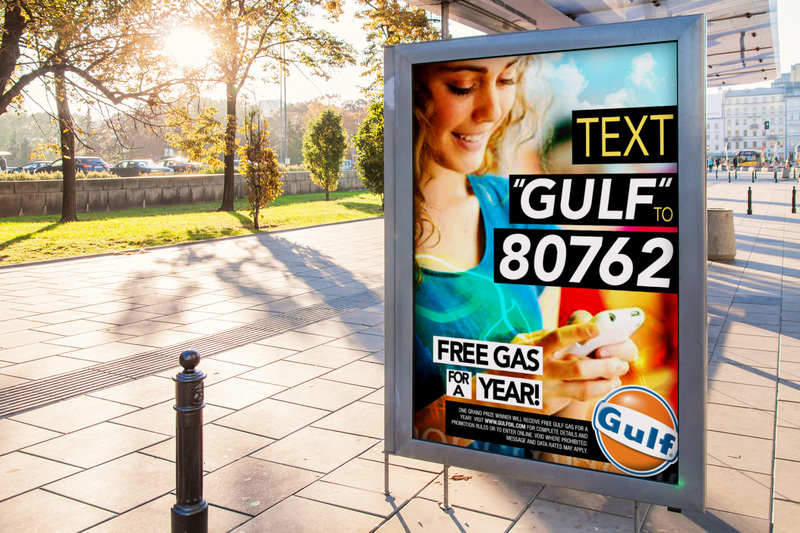 Gulf Oil provides station owners with new signage quarterly. 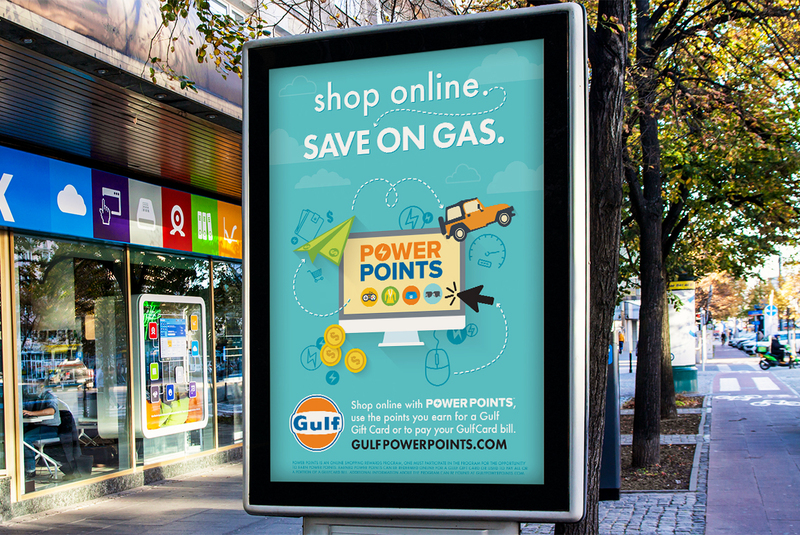 Each quarter they feature a new message or promotion. 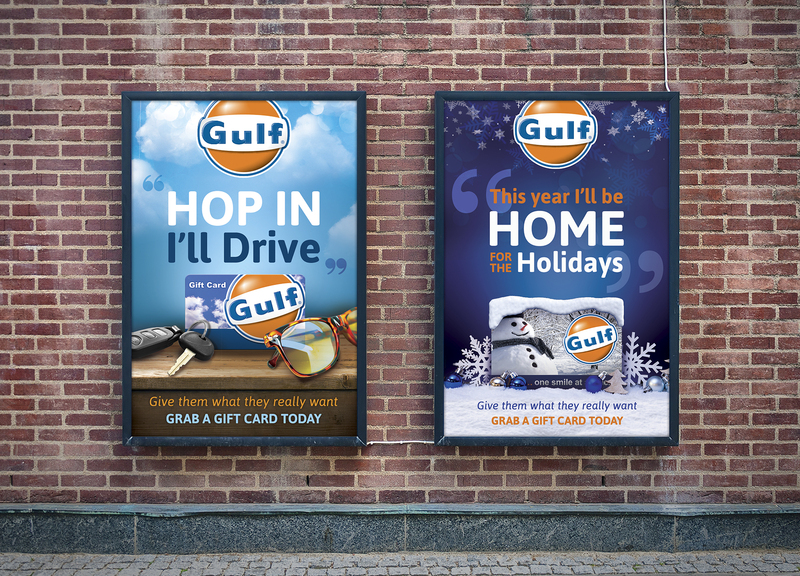 I worked on a large variety of promotions for Gulf for the entirety of my career at GLAD WORKS. 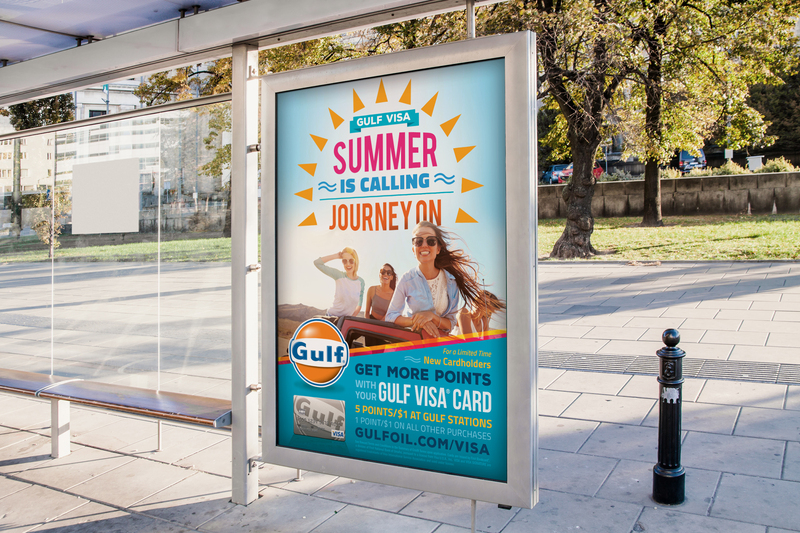 I have worked on the design portion of these pieces along with directing other designers and copy writers and brainstorming new ideas.